The Gustavus Symphony Orchestra, under the direction of Warren Friesen, and the Gustavus Choir and conductor Gregory Aune, combine forces on Saturday, May 30, to present the concert season’s finale performance at 8:00 p.m. in Christ Chapel. This year’s Concerto/Aria Competition winners Azra Halilovic, piano and Tom Oelfke, trombone, are among the featured performers as the the symphony and choir drop the final curtain of the arts’ season on the Gustavus campus. 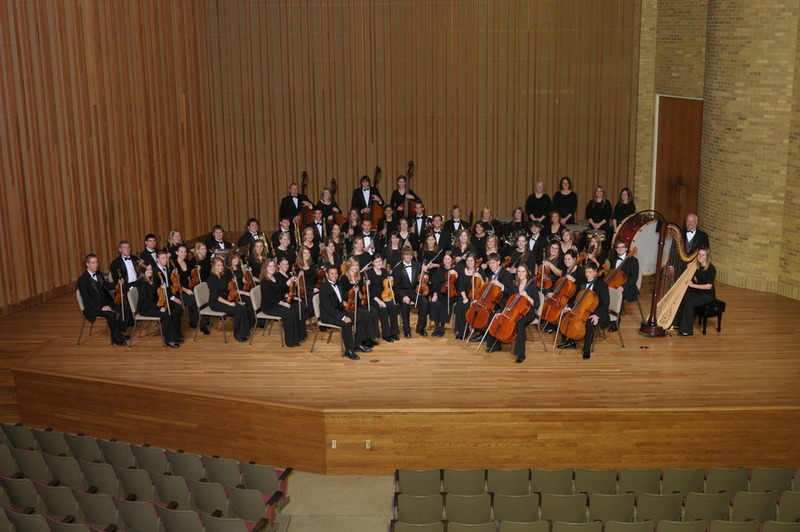 The Gustavus Symphony opens Saturday’s finale concert with the Academic Festival Overture by Johannes Brahms. Concerto winner Azra Halilovic, piano, then joins the symphony to present Bach’s Keyboard Concerto No. 1, movement 1, Allegro. Trombonist Tom Oelfke, the second of two concerto winners this year, follows with his performance of the first movement of Gordon Jacob’s Trombone Concerto. The program continues as the Gustavus Choir joins the orchestra to perform two works from Randall Thompson’s Frostiana with texts by poet Robert Frost, The Road Not Taken and Choose Something Like a Star. The choir proceeds with an a cappella work, Kenneth Jennings’ The Lord is an Everlasting God, before completing their work on the program with the orchestra in The Promise of Living, from The Tender Land by Aaron Copland. In a rousing conclusion to the 2009 academic year and an appropriate nod to the Class of 2009, Conductor Warren Friesen and the Gustavus Symphony Orchestra perform their final work on Saturday’s finale concert, the Superman March, from the score to the movie Superman, by American composer John Williams. While the finale concert is a part of the 2009 Gustavus Commencement Weekend, the public is invited to join the campus community, Saturday, May 30 in Christ Chapel, for this performance by the Gustavus Symphony Orchestra and the Gustavus Choir. Admission is free. Tickets are not required. The performance begins at 8:00 p.m.